The Maileg rabbits are adventurous and like to experience a lot of different things, so of course they always need the right outfit for any situation. Fortunately, the Maileg collection is very plentiful and versatile, so there is something for every bunny size, for every event and for every taste. 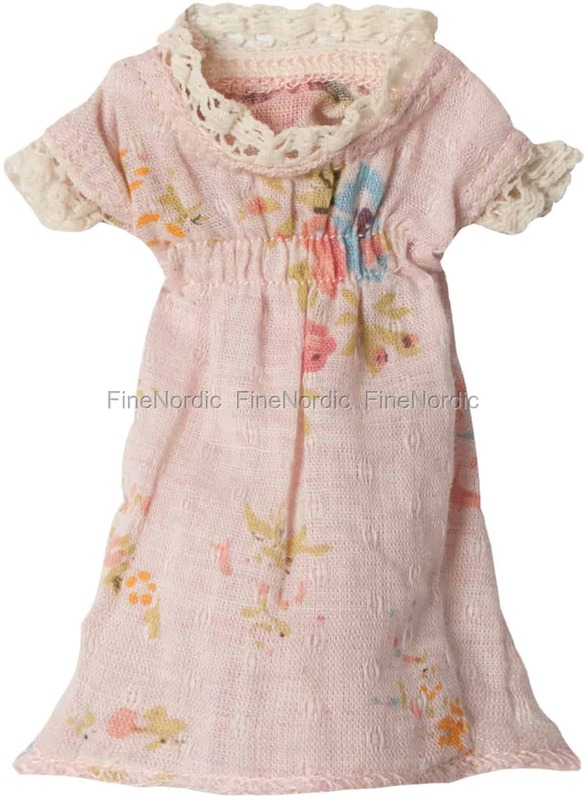 Just like this pretty Mini Dress Flower for the Mini rabbit, featuring a charming floral pattern on a pink background and with a lace trim on the collar and short sleeves. Just the right dress for the Sunday afternoon outing or the tea party with the best bunny friend.